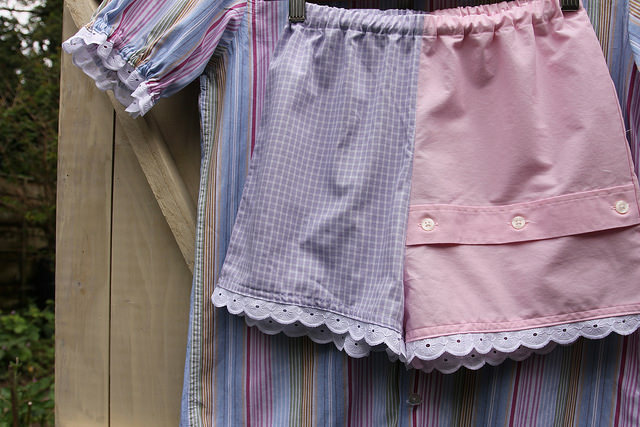 I learnt at the grand old age of 12 (probably much earlier since my mum turned a lot of old clothes into new clothes for me and my sister as we were growing up!) 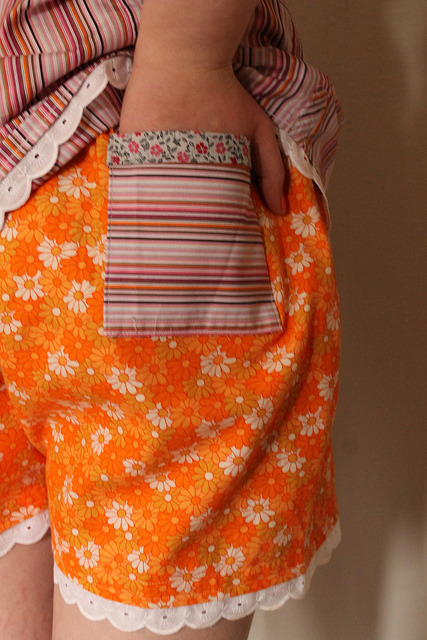 that you could upcycle old garments into new ones when, with help from my mum, I upcycled a red denim skirt I'd outgrown into a bag with rainbow straps and a hello kitty motif! 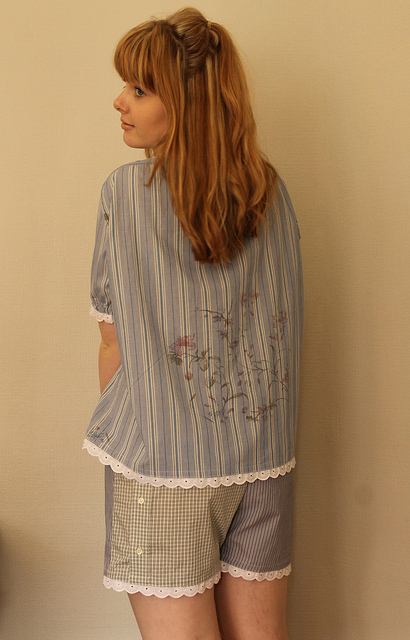 These PJ's were upcycled by my Mum from my Grandad's old shirts and a collection of men's shirts from local charity shops, keeping the details and features of the shirts to add interest and individuality to each pair. Unfortunately I have to wait to be able to wear the above pair, which I am really excited and impatient about because I love Pyjamas and sleeping as I'm sure is alike most teenagers, but I can't just yet because this pair and the other pairs in this post are being used as models for a class my mum is teaching at The Ministry of Craft for Advanced Beginners on how to make these Short and Sweet Pyjamas! The Ministry of Craft is situated in the basement of Fred Aldous in the Northern Quarter of Manchester and hosts a variety of different craft classes from learning the basics of using a sewing machine to hand embroidery and jewellery making. They even run parties which I'm sure are a lot of fun! I know my mum is very proud to be joining the other fabulous tutors there and I know her class will be a lot of fun! 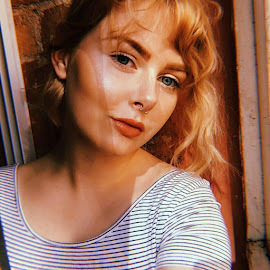 You can take a look at her blog and other projects here! 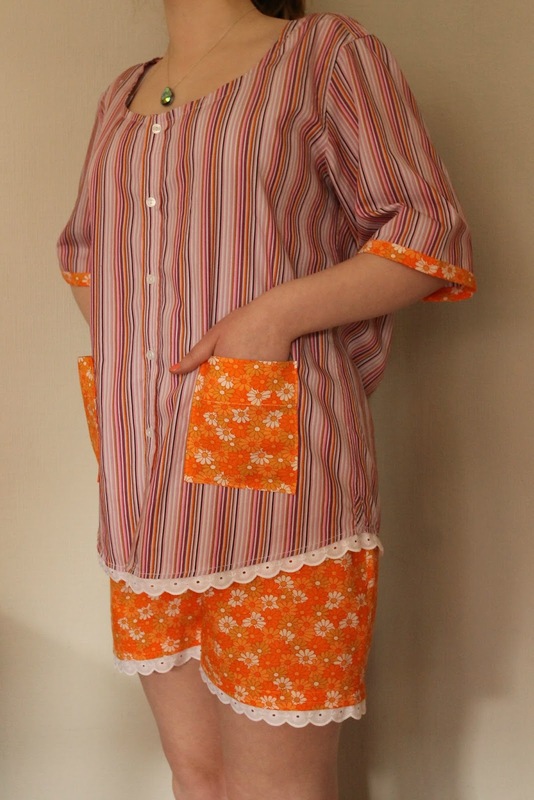 The first class on these short and sweet pyjamas will be held at The Ministry of Craft on Saturday 23rd August 2014 and will be a lot of fun, you can find further details for the class here!